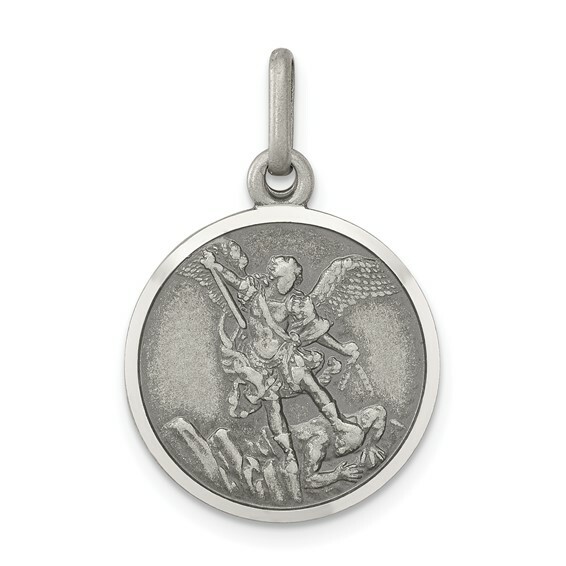 Petite sterling silver St. Michael charm. Weight: 2.25 grams. Measures 9/16 inch tall by 9/16 inch wide without bail. This item is half the size of a quarter. Patron saint of policemen and radiologists. 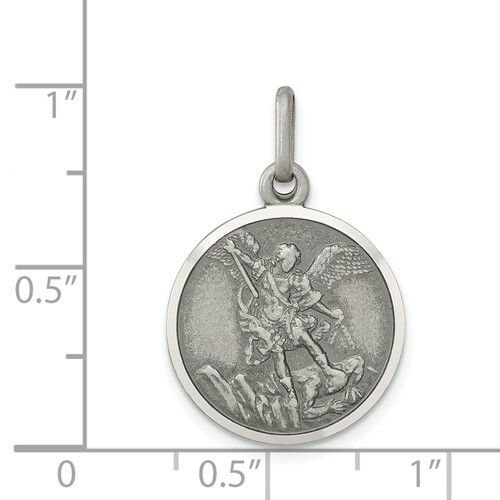 Plain back is suitable for engraving by a local jeweler.